Winter comes with tons of excitement! From the beautiful snow-carpeted surfaces perfect for ice skating to the winter games with your kids such as making snow angels. But like all things in life, there is also the negative side to winter. One of the biggest concerns for most homeowners is dealing with ice dams. Here is everything you need to know about ice dams and how to prevent them. How does formation of ice dams happen? 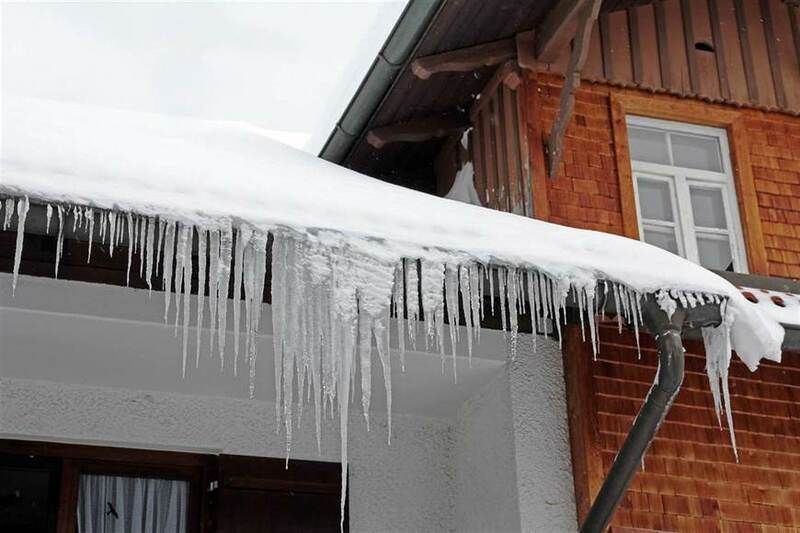 Ice dams form due to the different temperatures across your roof. Heavy snow falls onto your roof and freezes. Since most homes crank up the heat inside the house, the heated air inside the house rises to the upper surface of your roof. It rises even faster around the attic. As a result, heated air melts the frozen snow, which flows to the lower section of your roof. The melted snow then refreezes upon reaching the lower sections of the roof, as this part of the roof rarely receives heated air from indoors. More ice melting from the upper surface of the roof flows as water and collects behind the frozen ice on the lower section of your roof. This results in a pool of cold water known as ice dams. The water collected will eventually sips under the roofing shingles and leak through your ceiling. You can however get ahead of the situation by preventing ice dams from forming. Keeping the entire roof cold is the key to preventing ice dams from forming. This way, the snow doesn’t melt into the water that finds its way into your ceiling. This is achieved through the following. An all-round insulation prevents heated air from escaping from different rooms to your roof. The most recommended insulation is installing the 12-inch R-38 fiberglass across the entire ceiling. You may use extra insulation on the areas not completely covered by the R-38 glass, such as the section between the roof’s sheathing and the walls’ top plate. The fiberglass keeps the heated air from escaping to the roof. An all-round ceiling installation alone will not do the job. Even with the right insulation, the air indoors is always warmer than that outside. You, therefore, need to keep the temperature under the roof deck as cold as possible. Ventilation through an HVAC system comes to the rescue by providing continuous airflow right from the soffit of the roof to the ridge and peak of the roof. Melted Ice from your roof needs a clear path to flow. Ensure you rid your gutters of any debris such as leaves, twigs and any other blockages. This greatly minimizes the chances of the melted water from flowing into the ceiling. The attic may get warm from the air in your living space below as well as heat from a light source such as a light bulb. Ensure you install attic floor and ductwork installation to keep the attic heat at a minimum. Do not wait for a snowfall to start ice dam-proofing your home. To avoid incurring the hefty cost of replacing a rotten roof and ceiling boards, take preventative measures as early as during the fall. For more information on how to deal with ice dams, don’t hesitate to talk to a reliable ice dam removal company today! Winter is here, and you’ve started noticing a snow build-up on your roof. Naturally, you may start worrying about ice dams and roof leaks as a result. The most reasonable solution would be to climb a ladder and take away all the snow from the roof, right? Wrong! Here is why raking on a pitched roof is a bad idea. Ever wondered why most roofs in snow-prone areas are pitched? This is because every state considers factors such as the climate before enforcing the relevant building codes. Areas that receive heavy snowfall are required to have pitched roofs for a number of reasons. First, pitched roofs are designed to withstand at least 30 pounds of snow per square foot. This eliminates the probability of your pitched roof caving in due to the weight from accumulated snow. Secondly, the elevation from the pitched roof allows melted snow to easily flow to the gutters and be disposed of with minimum damage to the roof. As soon as the temperatures rise, the snow should melt off and flow by itself. Raking the snow off your pitched roof may clear excessive snow, but in reality, it will not prevent ice dams from forming if you do not consider the proper preventative measures. Such measures include installing proper insulation on the ceiling and attic as well as providing ventilation between the roof soffit and the attic. 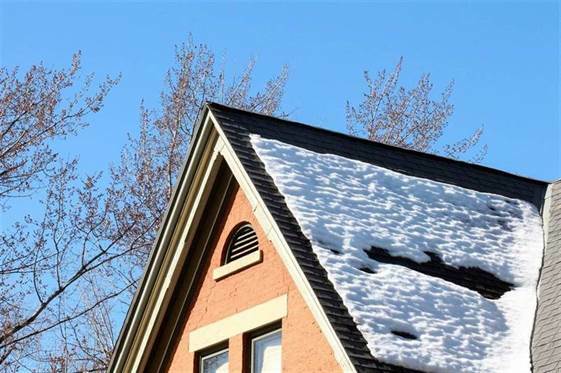 Climbing your pitched roof to rake off the snow may prove too much for your roof. Take a 200-pound man for instance. The pitched roof is designed to support up to 30 pounds of snow. This subjects the roof to an additional 170 pounds of weight. A new roof may support this kind of weight, but homes with considerably aged roofs may cave in when subjected to extra weight. Over the years, there are several records of people slipping and falling off from pitched roofs — apparently even during the hottest months. Snow-capped rooftops are twice as slippery. One misstep may be catastrophic. Additionally, the snow covers a lot of details from the naked eye; details such as the position of a skylight. A step in the wrong direction could make you cave in and land you in a hospital bed. Raking your pitched roof without the technical know-how could cause more damage to the roof. There is the probability of over-estimating the snows thickness. 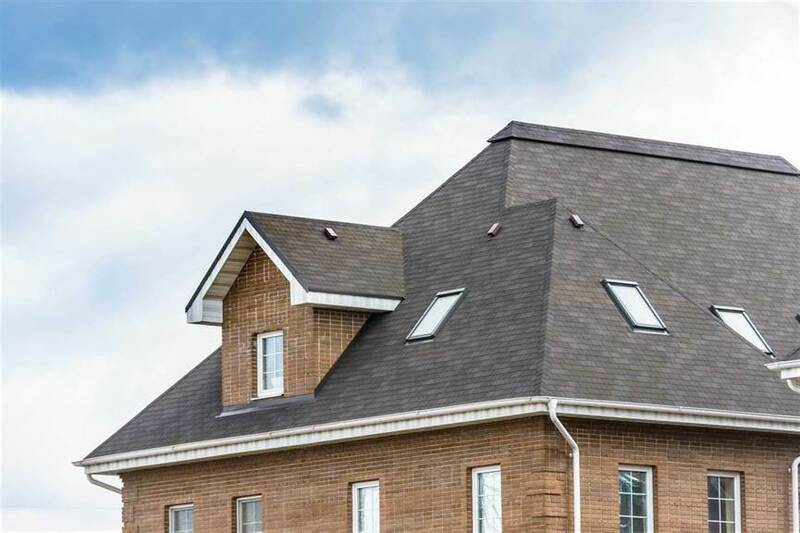 As a result, you may damage the slated shingles or worse, you could do more damage by raking too much snow towards a weak spot such as a rotting section of the roof. As the old saying goes, ‟prevention is better than cure”. Do not take matters into your own hands. For a more immediate solution, contact Winnipeg roof snow removal experts for a professional inspection of your roof. A roofing expert will safely remove the snow. If your roof has seen better days, it’s probably looking worn and leaky. 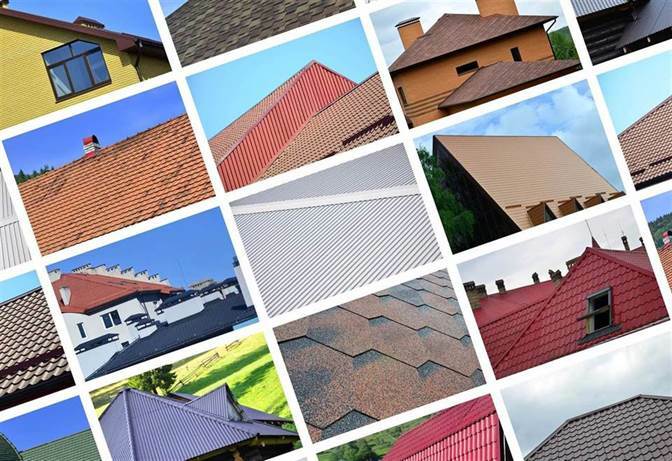 You’re now pondering on whether to repair, restore, or replace the entire roofing. When your roof starts showing sign of age, roof repair and replacement aren’t the only options. Restoration is a more cost-effective way to add more life to your existing roof. Roof repair, restoration, and replacement: what’s the difference? Many homeowners can’t quite tell the difference between roof repair and restoration. The difference is quite simple; roof repair deals with specific roof problems as identified by an experienced roofer. So here, the roofer may fix a leaking roof or replace damaged shingles and that’s about it. Roof restoration, on the other hand, is more intensive and comprehensive. It involves cleaning, repairing and re-coating. You can think of roof restoration as a complete roofing makeover. It prolongs the life of your roof while saving you the expense of a full roof replacement. As a fact, roof restoration costs 50-70% less than replacement, yet it still prolongs the life of your roofing. And, this is not the only benefit: Here are more benefits. While replacement is considered a capital expense, restoration falls under maintenance budget making the latter have a strong tax advantage. Since roof restoration is a maintenance expense, you can immediately expense your costs. In most instances, you’re likely to pay more when you capitalize the expense and recover the costs through depreciation than you would when you take the current maintenance deduction. Ideally, roofs have an average life of 20 years. The idea behind restoration is to extend your roofs life as long as possible. 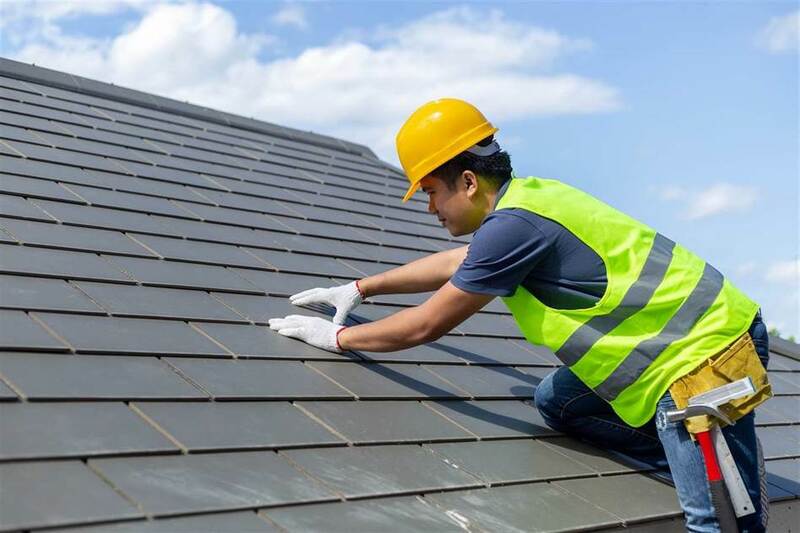 A roof replacement requires removing the old roof, gathering the remnants from the site, then finally building the new roof; a process that involves welding, drilling, and nailing. With roof replacement, disruption is inevitable. Conversely, roof restoration is less intrusive, faster and cleaner (no odors and harsh chemicals to deal with). During the initial installation phases, you can conduct business as usual. Roof restoration promotes environmental responsibility. The remnants of your existing roof, when you choose to replace the roof, end up in the already overflowing landfills. Roof restoration is an excellent way to recycle and reuse the current building materials. More on eco-friendliness: opt for cool roof coatings that emit lower carbon dioxide and other emissions into the air. Cool roof coatings decrease smog formation and respiratory illnesses. Furthermore, cool roof coatings are highly reflective, increasing solar reflectivity thus reducing interior coating costs. Finally, restoring your roof can prevent a catastrophic loss. As age catches up with your home, the roof deteriorates over time, and the likelihood of roof leaks increase. As time passes, the damage becomes worse and at some point, if you fail to take immediate action, the only option will be a total replacement. Continued neglect on roof repairs can put the whole structure at risk. Instead of handling one repair after the other, the solution to an aging roof is restoration. Roof repairs, restoration, and replacement all have their time and place. After a thorough inspection, a professional roofer should be able to help you decide the best cause of action concerning your roof. What’s the best roof type for a conservatory? If you’re keen to stamp your property’s value, maximize the light coming into your home, or just create a space to stargaze at night, a conservatory will make a stunning addition to your home. The choice of the materials to use will depend on what you’re looking to achieve by building the glasshouse. To help you decide, this article highlights the pros and cons of the three most common roofing materials used to build conservatories. Glass is the most popular material used for conservatory roofing. Apart from letting in lots of natural light, glass is weather resistant, less prone to scratches and the most aesthetically appealing. If you want to enjoy looking at your lush outdoor garden or star-gaze in wee hours of the night, a glass-roofed conservatory will serve your desires. One downside of glass roofing, is the intensity of the sun’s glare. Many homeowners whose conservatories are glass roofed complain of fading furniture and fabrics from the sun rays. Fortunately, these days, this no longer needs to be a problem. Coated glass provides better temperature control properties. Besides, double glazed panels with the special coating self-clean reducing the hassle of maintenance. The other disadvantage of glass, is its delicate nature. To avoid damages, homeowners should hire qualified roofing contractors for installation. Tiled conservatory roofs have thermo performance capabilities comparable to no other material. Effective insulations mean that your home will stay warmer in the winter cooler in the summer months. If you have energy-hungry heating appliances such as electric heaters, this feature will help you cut on your energy bills. Sitting in a glass-roofed conservatory when it’s raining, may bring a nostalgic smile on your face as you reminisce those childhood days in a dodgy caravan, but if you want to read a book from your conservatory, the noise will be a lot less amusing. Tiles provide better sound insulation which means you’ll have a more quiet and calm living space extension. The downside of tiled conservatories is they may not be as bright as those made of glass but guess what! You can install Velux-style windows to enjoy some of that natural light. If you’re on a shoestring budget, you might want to opt for polycarbonate roofing. This material is 3-4 times cheaper than glass and this is not the only draw; polycarbonate has UV blocking properties meaning you won’t have to endure harsh sun rays. Again, this material is extremely light and can easily be transported to where it’s needed. Polycarbonate is also resistant to heat and sunlight; it can last for years without fading or discoloring. The downside with polycarbonate roofs is that they are opaque in nature which means they allow less natural light into the house. This material also has less superior sound insulation properties thus will let in more noise from outside. Moreover, regarding aesthetics, polycarbonate and glass are incomparable- glass roofing always takes the lead. Clearly, each material has its advantages and disadvantages. Before deciding what to pick, consider your priorities. For instance, if what you want is a sunroom that lets in as much light as possible into the house, a glass roofed conservatory would be a better pick compared to a tiled one. Here is a scenario to consider: You lying on the couch after a long day at work but you keep turning your noise; thanks to a lingering odor that won’t go away. 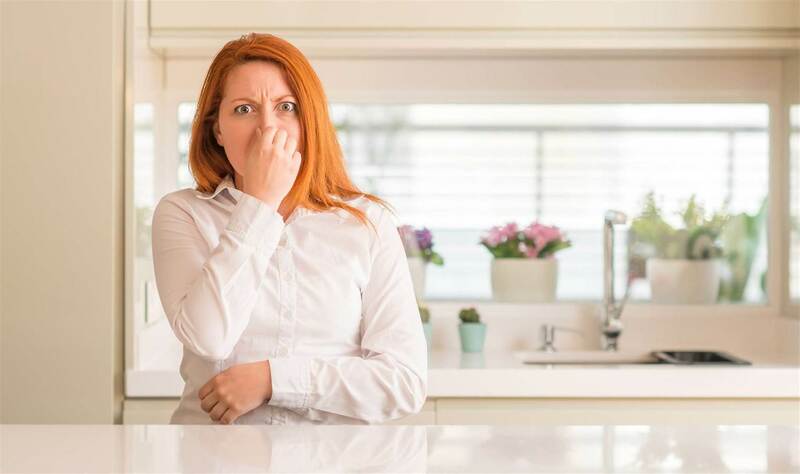 The odor becomes more disturbing and you decide to sniff around the house but, unfortunately, you can’t seem to identify the source of the smell. Finally, you decide to peek up into the attic and you’re overwhelmed by an unbearably bad odor. Sounds familiar? Attic smells is an all-too-common problem among homeowners, especially during spring. To address the bad odor, you must first identify the cause. This article will walk you through the most common attic odors and how to deal with them. A musty odor is a sure sign of mold and mildew growth in the attic. In many homes, unfortunately, attics are dark and poorly ventilated making a prime hot spot for mold and mildew. Arguably so, musty smells happen to be one of the most common types of attic odors. Mold growth in the attic is caused by excess humidity in the attic. Several things could be causing excess moisture in the attic. The first and the most common is roof leaks. A small leak may not cause a trickle down through the roof and into your living quarters, but its effects up there are just as disastrous. When you notice a musty smell, the best call of action is to invite a roofing repair company for inspection. If you ignore a leaky roof, you’ll end up dealing with expensive damage caused by mold growth. Broken pipes running through the attic could also cause excess humidity. Also, poor ventilation may lead to moist air being trapped in the attic causing mold growth. 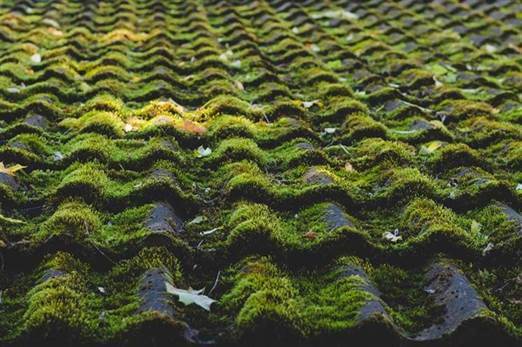 Musty smells, wood rot, visible mold, deterioration of masonry are all problems caused by humidity, the cause could be any of these reasons, a roofing professional will help identify the cause. A rancid, foul, putrid, the smell of decay is how a dead rat in the attic smells. It’s very distinct and one of the worst smells you’ll ever encounter in a building. Unlike the musty smell of mold, the smell of a dead rat in the attic is pretty easy to pick even before you go peeking in the attic. Since rats can transmit diseases, getting rid of rat carcass can put your health at risk, at least according to the Center for Disease Control and Prevention (CDC). Once you ascertain it’s a dead rodent up there, call a rodent control professional for safe handling of the carcass. A permanent solution to get rid of rodents in the attic is to seal any entry holes around the house. Rats don’t need to die to rank your attic with a foul smell! A combination of rodent droppings and their urine will cause your nose to wrench just as much. Mice droppings may only be the size of a grain of rice, but their stench is unforgettable (and not in a nice way). Their urine is just as worse, so you can imagine how the combination of both should smell. Again, the solution is to stop rodents from camping in your attic by sealing any entryways. Routine cleaning and paying your attic regular visits will help you deal with some of these issues in a timely manner before they invade your peace of mind. The steady progression of globalization has led to an increased competition in the marketplace. Now, more than ever, local contractors are finding themselves in competition with larger national contractors. By maximizing on economies of scale, national companies can charge lower prices for their roofing services. However, hiring a local roofing company can offer benefits that an international company — just cannot. Have a look at three benefits you’ll get by hiring an experienced roofer in Winnipeg locality. Experience in Your area: When you work with a local roofing company, they know the local codes for permits, which means you won’t have to deal with non-compliance issues. 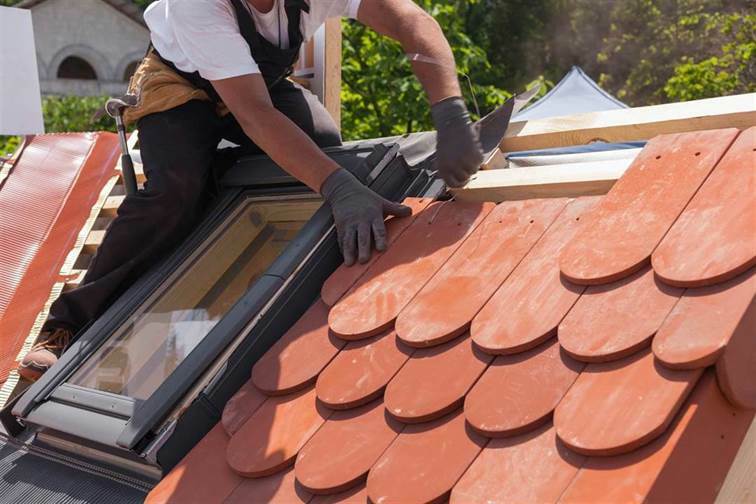 Tapping from their great relationships with local suppliers, local roofing contractors are more likely to get prompt supplies at great discounts. With this, a local contractor is likely to complete your project faster than an international one. Contrary, an out-of-town contractor may end up facing a lot of setbacks and end up prolonging the time taken to complete your project. More Money Stays in Your Community: When you hire a local contractor, more of your money stays in the community. According to research, whenever you spend $200 with a local company, $136 of that money remains in your community. Think about this: when you hire a local roofing contractor, he will shop in a local supermarket, buy lunch locally, and most likely pay school fees in a school in your locality. As that money circulates in other businesses, the local economies thrive. In contrast, when you hire a national contractor, only $84 of $200 stays in the community. A big chunk cash goes somewhere else. This, in the long run, hurts the local economy. Yet, healthy local economies stimulate growth and innovation in the community providing more employment opportunities. These are just but the few benefits of a thriving local economy. Better References: When you work with a local roofing contractor, you can walk into their offices and go through their portfolio. You might also know some of their past clients who can give you a review. Besides, a local contractor’s reputation is everything. In a bid to keep their business standing, they are more likely to provide ″an above and beyond experience″ to increase their customer retention. In contrast, when dealing with international contractors, you may not get a chance to talk to their previous clients or even walk through any of their model homes. An international company may, unfortunately, turn out to be a fly-by-night contractor, who disappears at some point during the process, for the feeling that nothing much is at stake. For your peace of mind, hiring a local contractor is your best bet. The roof protects the entire house along with your possessions and family. So, whether you’re installing a new roof, repairing an existing one, or calling a roofer for an inspection; the roof is a big deal. A seemingly small repair is never cosmetic and could potentially turn into a hazard when handled by a quack roofer. This is why you need a contractor whose office you can walk into, one who can direct you to actual references, and one who also knows his way around your locality; the suppliers, and the weather complications. What’s That Strange Noise Coming From the Roof? Is it some animal seeking warmth? Or is it just the wind? You keep hearing some popping, snapping and cracking sounds coming from your roof at the wee hours of the night and you’re convinced that your house is haunted. The noises may not have a pattern, and will often happen at random, keeping you up at night. Knowing the possible causes of those startling noises will help you decide when to call a contractor to inspect your roof, and when to just curl up in the blanket and simply just ignore the popping. Or better still, get some foam earplug to limit the noise disruption for some quiet sleep. During winter, the effects of thermal expansion and contraction on the roof are more notable. Normally, the days will be warmer and sunny but at night, temperatures drop dramatically. This causes rapid shrinking of the exposed building materials which then explains the creaking and snapping noises in cold seasons. At night when the temperatures fall, the roof components rub against each other as they cool off, causing the noises. As the staples contract making some loud cringing noise, the wood rubs against one another, causing the creaking sounds. Improving insulation in your roof will not only moderate temperatures, but also reduce outside noises. When mother nature decides to pile frozen precipitation on your roof, it may produce unusually loud popping and creaking sounds. Beyond the startling noises, snow accumulation on the roof should be a cause for alarm requiring you to take prompt action. If you notice signs of gutters pulling away from the roofing, a sagging roof, or a leaking roof, remedy the situation by inviting Winnipeg roof snow removal experts to stop further damage. Left unattended, excessive weight from snow will eventually cause severe structural roof problems and eventually, this may cause serious property damage. Flat roofs are particularly more vulnerable to snow accumulation. Though the gnawing or scratching noises may sound like an apparition in the attic. In reality, however, it’s the tiny nails or teeth of rodents in the roof. In the kingdom of rodents, rats and mice happen to be the most adaptable in regards to habitat. As a fact, mice will happily coexist with humans in different environments. This explains why they are such a persistent nuisance to humanity. Rodents are notorious for squeezing in incredibly small spaces to gain entry. Any gaps in your sealing, cracks, and holes in your roof and vents all make great entryways for rats. Mice will also easily gnaw through wood, so old roofing may be more prone to these unwanted guests. You can discourage rodents from entering your attic by calling a roofing contractor to inspect and seal any entryways. All houses, whether new or old, make plenty of noise. Furnaces hum, air conditioners vibrate, and wooden floors creak. You might not notice this house-sound symphony during the day, but as things calm down at night, all those noises become more heightened. Of importance is to know which noises are a cause for concern. Eco-Friendly Living: Why are Green Roofs Beneficial to the Community? 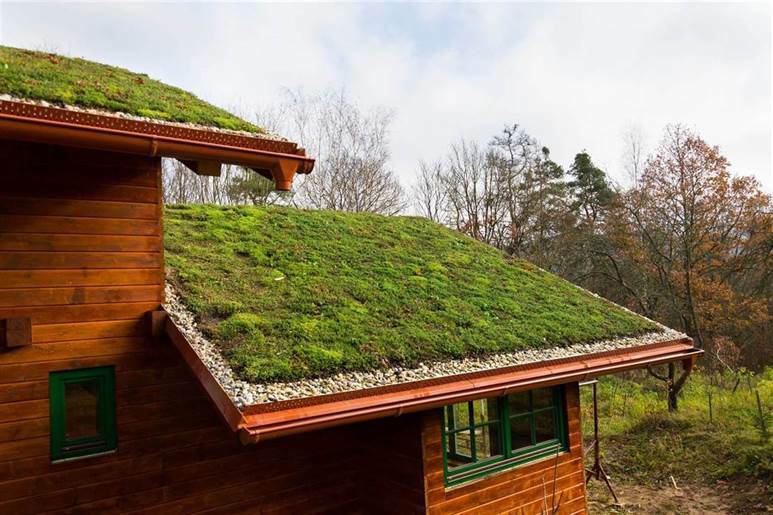 A green roof, also known as a living roof or a rooftop garden involves growing plants such as grass and lichens on the rooftop. As urbanization continues to replace vegetation, the need to recover green space has continually become critical to mitigating the negative impact of development. Living roofs do exactly that; they replace the vegetative layer that was destroyed when the building was put up. Their importance goes beyond improving aesthetics. Their growing popularity can be linked to their numerous social, environmental and economic benefits. Winnipeg roofing takes you through the various social benefits of installing a lush rooftop garden. One of the primary benefits of rooftop gardens is the mitigation of stormwater runoff. The prevalence of impervious surfaces in urban areas exacerbates flooding, and may result in raw sewage finding its way into the rivers, causing tremendous water pollution. An overflow of sewers means that a great quantity of water must be treated before it is potable. This eats into the municipal water treatment budgets. Storm analysts report that a typical city block contributes to more than five times more stormwater runoff than a woodland area of similar size. In light of this, the presence of a living roof in the event of a storm absorbs and filters water, which significantly lowers the risk of flash flooding and sewer overflows. How this works: Green roofs absorb stormwater, then slowly release it over a period of several hours, which reduces rapid runoff. If you live in a high traffic area, you can create a quieter environment by installing a rooftop garden. A combination of soil, plants, and trapped layers of air that are found within a green roof system, insulate a house from noise. Plants absorb, reflect or deflect high frequencies of sound. The extent of sound insulation, however, depends on the depth of the substrate and the system used. For example, a green roof with a 20cm substrate layer can reduce the sound by 46-50 dB while a 12cm will reduce it by 40dB. In simpler terms, the deeper the substrate, the greater the sound insulation. According to a research by the Ontario Medical Association in Canada, air pollution contributes to 9,500 premature deaths per year, a lost productivity of up to $374.18 and as if this is not enough, it also increases costs of healthcare up to $506.64 million. With continued industrialization, population and traffic growth, these conditions are expected to worsen. The typical urban environment is made up of ammonia, sodium chloride, sulfate, mineral dust, and black carbon. All these are the results of human activities combined with factory emissions. Plants, through their natural processes of respiration and photosynthesis, can reduce the detrimental effects of urban environments by taking up the pollutants and improving the air quality. A major obstacle, and one that discourages may homeowners from installing a rooftop garden, is the initial cost. Typically, living roofs cost two to three times more than impervious roofs. Although expensive at first, green roofs usually return their investment in a few years. Their ultimate benefits outweigh the initial concerns by far. Severe water damage causing growth of mold or…something worse. At first, a small leak may seem like a minor annoyance, one you could simply ignore and hope it’ll just go away on its own. In reality though, a shingle roof leak will not heal itself miraculously like a paper cut on a finger. Once a roof starts leaking, it can only get worse. Over time, a small leak expands letting in more water through causing havoc in your house. The water will soak into your ceiling, insulation, the deck, and other areas. The longer you ignore a leaking roof, the more expensive the repairs will become. Presence of moisture in the roof increases humidity in the house, providing the perfect environment for the growth of mold. Mold has been proven to cause many health problems such as allergies, respiratory diseases, difficulty breathing, and asthma attacks. And this is not the only problem, molds will also destroy your household furniture and structures. On this note, if you have a multi-layered roof, you may not notice leaks immediately till a roofer goes up there and runs an inspection. The old adage about not mixing water and electricity reigns to date. A downpour through the extended roof leak that was once small can cause irreparable damage to your electronics and in worst case scenarios, loss of life. Electronic appliances devices were never intended to be exposed to water. Water speedups oxidation of metals causing erosion in the metal conductors. As electrical conductors corrode, the appliances resistance to carry an electrical current increase. Heating occurs in the circuit which causes further corrosion. The end result is the conductors becoming hot enough to ignite their surroundings. This is how ignoring that seemingly small leak can start a fire in the house; the process is usually subtle but the results are detrimental. Finally, if you’re planning to sell your house in future, good luck trying to explain to a potential buyer that the stains in the ceiling and the steady drips aren’t a big problem. You can rest assured that a potential buyer will be scrutinizing every detail in each room. They’ll turn on the taps, open and close doors just to see if the hinges are broken, check the bathroom to see if the shower is broken, then stare long enough at the ceiling for any signs of stains. Nobody wants to settle for a house that is full of things that need repair. When you neglect regular roof inspection and repairs, the results are dilapidated roofs; something that is not very attractive to potential buyers. A regular roof inspection can prevent minor damage from moving from bad to worse. And let’s not forget – some touch-ups on your roof every once in while will make your roof look nicer too improving your houses overall curb appeal.